During the early seventies, the German music scene was thriving. It was one of the most vibrant in Europe. Some of the most influential and innovative music was being released by German bands. This included the holy trinity of Can, Kraftwerk and Neu!. Along with Amon Düül II, Ashra, Cluster, Popol Vuh and Tangerine Dream, these groups were at the forefront of a new musical movement. In Germany, this new musical movement was called Kosmische musik. Its roots can be traced to the late-sixties, and in a way, were a reaction against the rigidity and rules of traditional music. No longer were musicians willing to be constrained by the rules of modern music. They wanted to free themselves from the shackles of rules and rigidity, and in the process, create new and groundbreaking music. To do this, musicians fused a disparate and eclectic selection of musical genres. Everything from avant-garde, electronica, experimental rock, free jazz and progressive rock influenced and inspired Kosmische musik. This included the holy trinity of Can, Kraftwerk and Neu!. They went on to create music that at the time, was ambitious, groundbreaking and innovative. Musical boundaries were pushed to their limits, and musical norms challenged. The holy trinity were fearless visionaries. This includes Michael Rother, who was a member of three of the biggest bands in German musical history. Michael Rother, who has played a huge part in German musical history, celebrates fifty years as a musician in 2015. He started his career with Spirits Of Sound in 1965, before first jamming with Kraftwerk in the late-sixties. Later, he joined the band on a permanent basis, but left in 1971 to form another of the holy trinity, Neu! with Klaus Dinger. The pair recorded and released two groundbreaking albums Neu! in 1972 and Neu! 2 in 1973. However, when Neu! 2 wasn’t a commercial success, Neu! was put on hold, and Michael Rother joined Harmonia, the first German supergroup. 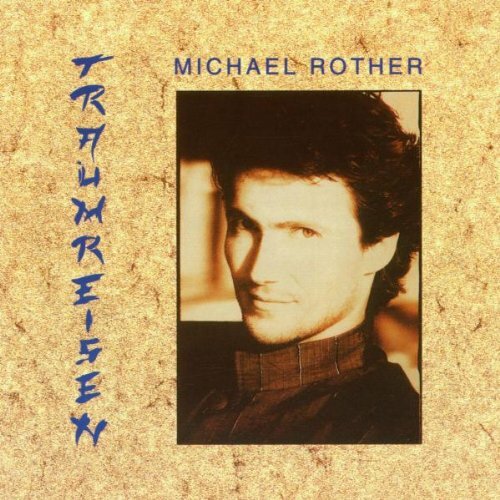 Harmonia featured Michael Rother plus Hans-Joachim Roedelius and Dieter Moebius of Cluster. They released two albums, Deluxe in 1974 and Music Von Harmionia in 1975. Both were groundbreaking and influential albums. However, Harmonia were too ahead of the musical curve, and neither album was a success. So Michael Rother recorded another another album with Neu! By then were very different people, and had different ideas on music. This became apparent when Neu ’75 was released. It was the last time they would record for over a decade. In the meantime, Michael Rother returned to life with Harmonia. Their music had attracted Brian Eno’s attention. He had called Harmonia “the most important band in the world.” Soon, Harmonia and Brian Eno would spend eleven days recording an album. Once the recording sessions were complete, the master tapes went missing, and only were discovered two decades later. Belatedly, Tracks and Traces was released in 1997 Michael Rother told me, as we discussed his fifty year career. “Next we moved to Karachi, in Pakistan, where I was: captivated by the street musicians. The sounds, scales, rhythm and constant repetition mesmerised me. They would later influence as a musician.” That wasn’t his first musical influence. “Originally, my earliest musical influence, was classical music. I remember my mother, who was a pianist, playing Chopin’s concertos. Then it was rock ’n’ roll. My brother who was ten years older than me, had rock ’n’ parties. Little Richard was my favourite, I loved the energy. Later, after the British explosion, The Beatles, Rolling Stones and The Kinks were the groups I listened to. Much later, the guitarists Eric Clapton, Jeff Beck and Jimi Hendrix when he descended down, were my influences.” However, the mention of Jimi Hendrix’s name and almost in an instant, Michael Rother is a teenager again. “I was lucky, I once saw Jimi Hendrix live, it was an incredible experience.” As Michael speaks, he’s almost awe-struck. Then he reflects on the subject of influences: “later, when I became a musician, I came to regard those that I worked with, and collaborated with, as my influences and inspirations.” It’s then that Michael turns to the clock back to 1965, when his career began. “My career began in 1965, when I joined a covers band at school. I had watched them play, so went away and spent the next year practising my guitar. Once I was ready, I asked if I could join and I became a member of Spirits Of Sounds. They said yes and this was the start” This cover’s band featured two other musicians who would enjoy successful processional careers. Wolfgang Flür went on to form Kraftwerk and Wolfgang Riechman formed Wunderbar. Spirit Of Sounds must have been the only cover’s band to feature three musicians who would later transform German music. That was still to come. “Spirits Of Sound played just covers, including songs by The Beatles, Rolling Stones and The Who.” For Michael Rother, this was his musical apprenticeship. Playing with Spirits Of Sound allowed him to learn his trade and hone his sound. All the time, he was listening to music which changed throughout the sixties. “Later guitarists like Eric Clapton, Jeff Beck and Jimi Hendrix that were influencing me.” By then, Michael Rother was happy being part of a band, and seeing what life in a group was like. He was also well on his way to refining his guitar playing. However, then in 1969, Michael Rother got the call all young people must have dreaded. Back in 1969, every German citizen had to spend six months in the army. Those who refused, or suffered from ill health, could spend six months as a civilian volunteer. That’s how in 1969, Michael Rother found himself working at St. Alexius hospital, Neuss. He had no option. By the time his six month as a civilian volunteer was over, Michael Rother “was beginning to become frustrated with playing in a cover’s band. It had its limitations, and wanted to move away from traditional music.” Fortunately, Michael Rother got the opportunity to jam with a new band, Kraftwerk in late 1969. After his session with Kraftwerk, Michael returned to Spirits Of Sound. Musically, his eyes had been opened. A new musical movement had been born in West Germany. However, for the time being, Michael was back in his covers band. Then in 1971, Michael received a call from Florian Schneider. “Ralf Hütter had quit Kraftwerk unexpectedly, and returned to university to complete a course.” Meanwhile “the first Kraftwerk album had been a hit, and they wanted to build on the momentum.” So Florian wanted Michael to join Kraftwerk on a permanent basis. It didn’t take Michael long to agree. After six years with Spirits Of Sound, a new chapter in Michael Rother’s career was about to begin. He was going to be part of Kraftwerk, who were now a trio. When joined Kraftwerk, the group’s lineup was very different to the one that had recorded their 1970 eponymous debut album. Just Florian Schneider and Klaus Dinger remained. The addition of Michael Rother on guitar filled out the sound. However, very quickly, Michael discovered that all wasn’t well within Kraftwerk. Michael’s role in Kraftwerk was twofold. “I would play live and play on what was to be their second album.” Straight away, Michael discovered that life with Kraftwerk was eventful. “It was exciting, never boring. When we played live, it could become chaotic, fights broke out between Klaus and Florian. They were both spiky characters.” That was only half the story. “Sometimes, the audience didn’t understand what they heard. They came to hear what they heard on Kraftwerk. That was just a starting point. We took things from there. For members of an audience who expected to hear Kraftwerk replicated live, this what frustrating. Other members of the audience were excited by the possibilities. It was an exciting time for everyone” However, it was also a frustrating one. Michael though the band should have an organic name. Klaus however, had hit on the name Neu! This made sense, as they were a new band, who were part of the new musical Kosmische musik movement. So, the new band became Neu! To go with the new name, a pop art logo was designed and copyrighted. This new logo was seen as a comment and protest against the modern consumer society. Just like contemporaries Can, Neu weren’t afraid to combine social comment and art. Having settled on a name, Neu!’s thoughts turned to recording their debut album. There was a problem though. Over the four days, Neu! recorded a total of six tracks. They were written by Michael and Klaus. The two members of Neu! laid down all the parts onto an eight-tracks. Michael played guitars and bass, while Klaus played drums and a Koto. “At first the recording was slow, then we found the positive energy to move forward. The songs were stripped down to the bare essentials, they had to be we only had eight tracks to record onto.” Five of the six songs Neu! recorded were lengthy tracks. This included Hallogallo and Negativland. Both feature Klaus’ innovative and mesmeric motorik beat. He played a 4/4 constantly, with only an occasional interruptions. Its hypnotic sound would soon become famous. As Klaus and Michael listened to the playback of Hallogallo and Negativland, they had no idea that this drumbeat would become synonymous with Kosmische musik. Even once Conny Plank had mixed Neu! at Star Musik Studio, in Hamburg the two members of Neu! had no idea how influential the album would become. “Once the album was mixed, Conny Plank gave me a copy of the cassette to listen to. I was proud, and played it to my girlfriend, family and friends. I’d no idea the effect the album would have. I was just pleased to have recorded my album. It had been a close shave.” Michael had no inclination that he had recorded a classic album. Neu! was scheduled for release in early 1972. At the time, critic’s opinions were divided. Some critics realised Neu! was a truly groundbreaking album, and appreciated what was a genre-melting album. Elements of ambient, electronica, experimental, free jazz, industrial, music concrete and rock can be heard. These critics identified the album as a Kosmische classic. Other critics didn’t seem to understated Neu!, or Kosmische musik, which by then, had been renamed. In London, a critic at Melody Maker had coined the term Krautrock. This came after Amon Düül released their 1969 album Psychedelic Underground. It featured a track titled Mama Düül und Ihre Sauerkrautband Spielt Auf, which in English, translates as Mama Düül and her Sauerkrautband Strike Up. At first, many people were reticent about using the name of this new genre. By the time Neu! was released in 1972, that was no longer the case. Other critics and record buyers were using Krautrock rather than Kosmische musik. This was how they described the music of Can and Kraftwerk, and then Neu!, who had just released their eponymous debut album. When Neu! was released on Brain in 1972, the album sold 30,000 copies in Germany. For an underground album, that was seen as a success. However, outside of Germany, Neu! didn’t sell in vast quantities. Despite only selling well in Germany, Neu! began work on their sophomore album, Neu! 2. With Conny Plank producing what became Neu! 2, Michael and Klaus began work. “This time, we had sixteen tracks to work with, so could layer instruments. 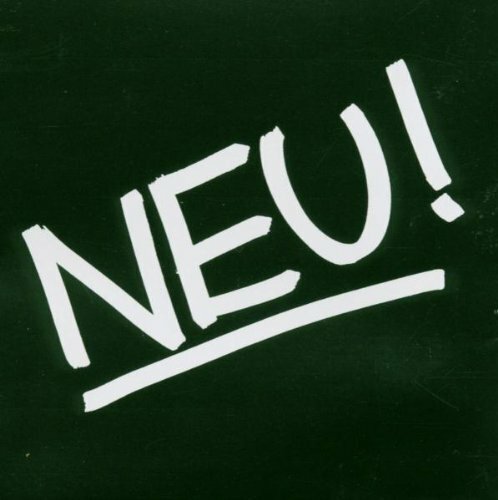 I played my guitar, it was played backwards, the tempo was sped up and effects were added.” Neu! it seemed, had taken experimenting to a new level, and were pushing musical boundaries to their limits, and sometimes way beyond. Everything seemed to be going so well. Then a problem arose. With Neu! 2 complete, it was scheduled for release later in 1973. 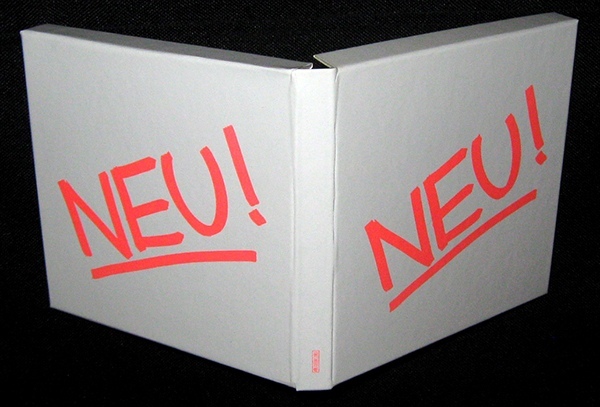 When the album was released, critics heard than Neu! had refined their trademark sound, and taken it even further. “Für immer an eleven minute epic was the best example.” It features Klaus and Michael becoming one. As Klaus’ drums propel the arrangement along, Michael delvers a virtuoso performance. Critics were won over by “Für immer, which was regarded as the highlight of Neu! 2. However, side two proved controversial. Many critics weren’t impressed by side two of Neu! 2. They saw the music as gimmicky, and accused Neu! trying to fool and rip off record buyers. As indignant critics took the moral high-ground, again, it was a case that they didn’t understated music. “What we had done, was take ready made music and deconstruct it. Then they could either reconstruct or manipulate the deconstructed music.” Critics either couldn’t or didn’t want to understand this. Neither did record buyers. On its release, Neu! 2 didn’t sell well. Even in Germany, Neu! 2 failed commercially. Brian who released Neu! 2, had expected the band to tour the album. However, there was very little interest in Neu! Klaus Dinger and his brother Thomas even headed to London, to see if he could organise a Neu! tour of Britain. There, he met DJ John Peel, and Karen Townsend, the wife of The Who’s guitarist Pete. Although John Peel played tracks from Neu! 2 on his radio show, and tried to champion the band, there was no appetite for a Neu! tour of Britain. When Klaus returned home, he and Michael put Neu! on hold. Both Klaus and Michael were keen to make it clear that this wasn’t the end of Neu! They merely, wanted to take some time out, to pursue other interests and projects. Klaus’ new project was La Düsseldorf. Meanwhile, Michael decided to embark on a journey to the Forst Commune. That was where he would meet Dieter Moebius and Hans-Joachim Roedelius of Cluster. Michael had heard Im Süden, a track from Cluster’s sophomore album Cluster II. The track struck a nerve with Michael, who wondered if Dieter Moebius and Hans-Joachim Roedelius would be interested in joining an extended lineup of Neu!? Then Michael began to consider a German supergroup consisting of Neu! and Cluster. That proved to be the case. At the Forst Commune, Michael jammed with Dieter Moebius and Hans-Joachim Roedelius. 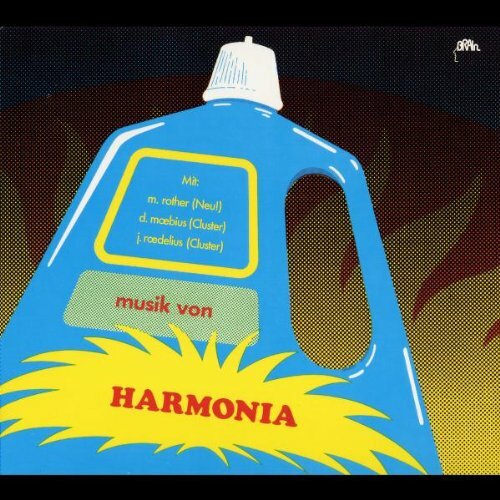 That initial jam later became Ohrwurm, a track from Harmonia’s 1974 debut album Musik von Harmonia. Following their initial jam session, Michael stayed at the Forst Commune to prepare for the recording of Harmonia’s debut album. Meanwhile, Klaus and Thomas Dinger had returned from London. They came, they thought, baring gifts. One of the gifts was studio engineer Hans Lampe, who for much of 1972, had been Conny Plank’s engineer. The other was Klaus’ brother Thomas. They Klaus proposed, would join an extended lineup of Neu! In preparation, they played a series of concerts as La Düsseldorf. Michael however, was busy with Harmonia. Not only were they planning to record their debut album, but build a recording studio. Building a recording can be fraught with difficulties. However, for Michael, Dieter Moebius and Hans-Joachim Roedelius the building of their studio in Forst went smoothly. This new studio would play a hugely important part in Michael Rother’s future career. Not only would it be where Harmon recorded their debut album, but where Michael worked on future projects with Neu! and later, recorded his solo albums. That was still to come. Before that, Harmonia began to record their debut album Musik von Harmonia. This became apparent when Musik von Harmonia was completed in November 1974. 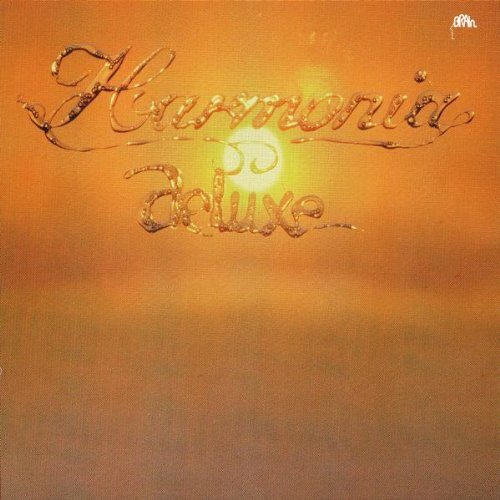 Harmonia’s 1974 debut album, Musik von Harmonia, was a move towards ambient rock. 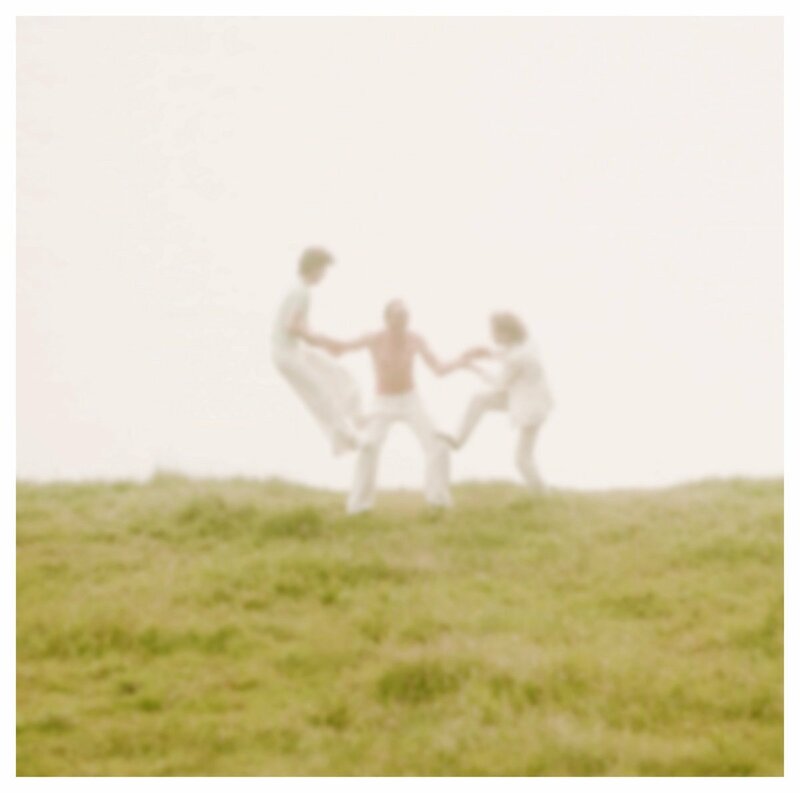 Both Michael Rother and the two members of Cluster’s influences can be heard on the nascent supergroup’s debut album. It was released in January 1974. When Musik Von Harmonia was released, many critics realised the importance of what’s a groundbreaking classic. It saw this nascent supergroup seamlessly embrace and incorporate disparate musical genres. In the process, Harmonia set the bar high for future ambient rock albums. Despite the critical acclaim that accompanied Musik von Harmonia, the album wasn’t a commercial success. Michael Rother remember ruefully: “the seventies weren’t a good time for Harmonia. Our music was ignored, it was tough to survive during this period. So towards the end of 1974, Michael and Klaus reunited for Neu!’s third album. The Return Of Neu!-Neu! ’75. For Neu!! ’75, Michael Rother and Klaus Dinger reunited in December 1974 at Conny Plank’s studio. By then, Conny’s Studio was the go-to recording studio for German groups. They wanted “the genius” to sprinkle his magic on their albums. This would be the case for Neu! ’75. The two members of Neu! had changed. Klaus was heavily into rock music, while Michael’s interest in ambient music was growing. As Michael explains: “After two years apart, we were different people. To complicate matters, Klaus wanted to move from behind the drum kit. He felt he was hidden away. I can understand this. But it was what Klaus did so well. However, he wanted to become an entertainer, playing the guitar and singing. He wanted to bring in two new musicians to replace him.” This included Klaus’ brother Thomas and Conny Plank’s former engineer Hans Lampe. These new musicians would allow Neu! to make a very different album. Michael realised this was problematic. “By then Klaus could be difficult to work with. I realised we had compromise, so ended making an album with two very different sides. Side one was old Neu! and side two was new Neu!” On side two Klaus come out from behind his drum kit and play guitar and sing. He became the entertainer on what proved to be an album of two sides. It was completed in January 1975, and released later that year. When critics were sent copies of Neu! ’75, they were struck by side one’s subtle, ambient, melodic sound. Michael remembers: “we used keyboards and phasing a lot on both sides. While Michael Rother’s name was written large all over side one; side two was very different, and quite unconventional. Reviews were mixed, partly because of side two. Some critics felt that if Neu! ’75 had the same sound throughout, it would’ve been hailed a classic. However, later Neu! ’75 and Neu!’s earlier albums would be reevaluated. Before that Neu! ’75 was released. Just like Neu! 2, Neu! ’75 didn’t sell well. The problem was, many people didn’t understand what was essentially parts of two disparate albums joined together. The proto-punk of side two was so different from the ambient sound of side one. Record buyers were confused, and didn’t understand what Neu! stood for? It seemed that Neu! were just the latest groundbreaking group whose music was misunderstood and overlooked. Michael looking back at Neu! ’75 reflects: “It was a time time. Klaus wasn’t the easiest person to work with. He was involved with different people, and being pulled in different ways. We were also very different musically. Then there were the new drummers on side two. They weren’t particularly good. Certainly neither were as good as Klaus,” a rueful Michael remembers. “It was a difficult project. By then Klaus was different to the man I’d met a few years earlier.” Michael wouldn’t work with Klaus for another decade. By then, Neu! music had inspired a new musical movement, punk. Things started to change in 1976. Michael explains: “many punks claim that Neu! ’75 inspired them. Especially, side two.” That wasn’t the only Neu! album that inspired the punk ideal. Side two of Neu! 2 was a favourite of punks. It was: “a result of desperation,” which struck a nerve with the nascent punk movement, and its D.I.Y. approach. That’s when the revaluation of Neu! began. However, “it was a long time before our music was accepted and recognised, and began to sell in the quantities it does now”. That’s also the case with Harmona, who began recording their sophomore album in June 1975. In June 1975, the three members of Harmonia returned to their studio in Forst for the recording of their sophomore album, Deluxe. Joining them, was a new face, Conny Plank, who was co-producing Deluxe. Conny Plank and Michael were good friends, and had worked together on four projects. This included Kraftwerk’s aborted album and Neu!’s two albums. The addition of the man who Michael Rother calls: “the genius,” just happened to coincide with Harmonia changing direction musically. Deluxe saw a move towards Kominische musik. Partly, this was down to the addition of Guru-Guru drummer Mani Neumeier. He played on some track, and added a Kominische influence. Another change was that Michael Rother’s guitar played a more prominent role. That wasn’t Michael’s only influence. The music on Deluxe was more song oriented. This was Michael Rother’s influence. He had taught the two members of Cluster the importance of structure. However, still Harmonia were experimenting, pushing musical boundaries. This was Cluster’s influence. Other parts of Deluxe had been influenced by Michael Rother. Hans-Joachim Roedelius agrees. “Michael Rother’s influence can be heard on Deluxe, more so than on Musik Von Harmonia.” What was also noticeable, was that Deluxe had a more commercial sound. “This wasn’t a conscious decision. The music morphed and evolved, and the result was Deluxe,” Hans-Joachim Roedelius reflects. Michael Rother agrees. “Every album I’ve made I set out for it to be commercial. Sometimes, though, it doesn’t work out that way.” Sadly, that proved to be the case. When Deluxe was released in 1975, to the same critical acclaim as Musik von Harmonia. The noticeable shift to what was a more commercial sound, surely would lead to a change in Harmonia’s fortunes? That wasn’t to be. Deluxe was released on 20th August 1975, and sales of the album were slow. They never picked up, and history it seemed, was repeating itself. Michael reflects: “Still our music was being ignored. It was a difficult time for us. So much so, that Michael decided to record his debut solo album. Michael Rother-The Solo Years-Part One. Recording of Flammende Herzen began at Conny’s Studio in June 1976. Michael had penned five tracks, and planned to play most of the instruments himself. The only instrument he couldn’t play were the drums. So Jaki Liebezeit of Can came onboard, and this was the start of a long-lasting collaboration. That was the case with Conny Plank, who co-produced Michael’s debut solo album. At Conny’s Studio, five instrumentals which were based around Michael’s guitar were recorded. These tracks became Flammende Herzen, which was completed in September 1976. Michael’s debut album scheduled for release in March 1977. Before the release of Flammende Herzen, critics had their say on Michael Rother’s solo album. Most of the reviews were positive. It seemed that Michael’s fortunes were about to change. 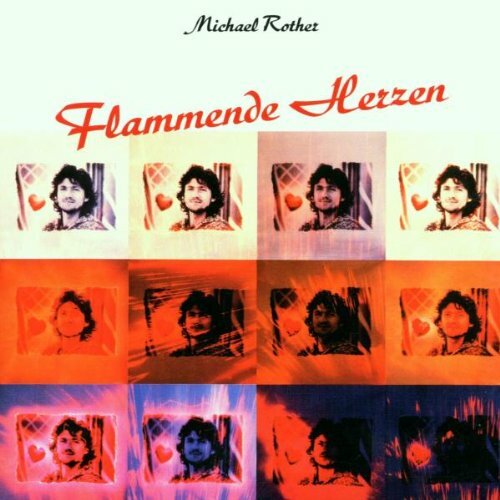 Nowadays, Flammende Herzen is regarded as one of Michael’s finest solo albums. It’s as if this was the album he had been longing to make. Sadly, in 1977, as punk was making its presence felt, Flammende Herzen passed record buyers by. By then, Michael had been back in the studio with Harmonia, and a special guest, Brian Eno. The Return Of Harmonia With Brian Eno-Tracks and Traces. After the release of Musik von Harmonia, Brian Eno had called Harmonia was “the world’s most important rock band” at the time. So it was no surprise that when Harmonia reunited to record their third album, it was a collaboration with Brian Eno. However, it was also the end of an era. Little did the three members of Harmonia realise, that Deluxe was the last album they would release for thirty-two years. 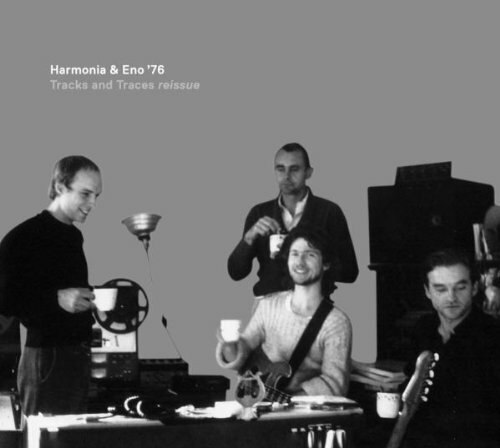 For what was their swan-song, Harmonia were joined by another legend, Brian Eno. Michael remembers the sessions well. “Brian Eno was a very intelligent man. He seemed to know what music was on the way up. By then, he was making ambient music and was working as a producer. He was about to produce David Bowie’s Heroes’ album.” However, for the next eleven days, Brian Eno joined the band he had been championing since their debut album. This wasn’t surprising. Harmonia weren’t selling many records. “It was a tough time for us. Our music seemed to be ignored.” Neu! also seemed to have run its course. “Neu ‘75 hadn’t sold well. Klaus wasn’t an easy person to work with. So, I decided to return to my solo career after the release of Harmonia ’76.” That never happened. Incredibly, the master-tapes for Harmonia ’76 went missing. “We feared they were lost forever. Then twenty years later, they were found.” What was meant to be Harmonia ’76 was released Tracks and Traces in 1997.” That wasn’t the end of the Harmonia story. No. 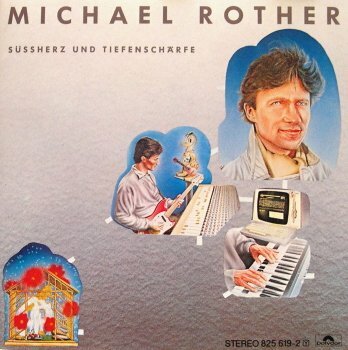 However, before the next chapter in the Harmonia story unfolded, Michael Rother’s solo career continued. 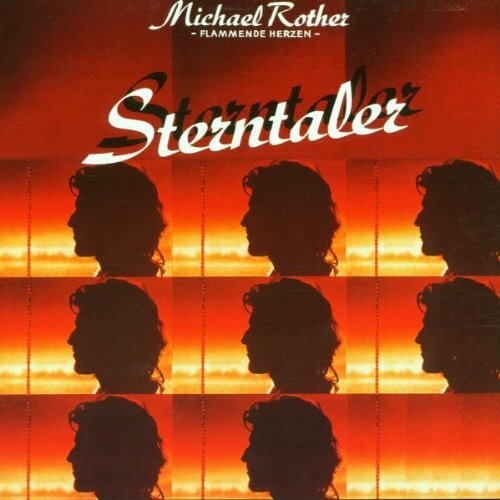 Michael Rother’s Solo Career-Part Two-Sterntaler. After the drama and disappointment of the loss of the master tapes for Harmonia ’76, the three members of Harmonia went their separate ways. By September 1977, Michael was ready to record his sophomore album Sterntaler. It was recorded between September and November 1977 at two studios. This included Conny’s Studio, and Michael’s studio in Forst. By then, Michael was a true multi-instrumentalist, and was playing guitar, bass guitar, piano, synths, electronic percussion Hawaiian slide guitar and synth strings. Augmented by Jaki Liebezeit’s drums, Sterntaler took shape. Unlike his debut album, the synths were playing an important part in Sterntaler’s sound, and were responsible for the melody. Then on the ambient sounding Blauer Regen, Jaki Liebezeit’s weren’t needed. This was another signal that Michael’s music was changing. Michael and co-producer Conny Plank finished work on Sterntaler in November 1977. Maybe the stylistic shift would result in a change in Michael’s fortunes? Sadly, it was a familiar story. The reviews of Sterntaler were generally positive, and Michael was regarded as one of the most innovative musicians of his generation. However, when Sterntaler was released, the album didn’t sell well. Michael remembers; “my music seemed to be out of fashion.” However, he continued to make music, music that continued to evolve. Recording of Michael’s third album Katzenmusik took place between March and July 1979. Just like his previous album, the album was recorded in Forst and Conny’s Studio. Michael used mainly electronic instruments. They were augmented by guitars and Jaki Liebezeit’s drums. It seemed that if Michael was a painter, he was reducing his pallet. That would be the case for most musicians. Michael Rother wasn’t most musicians. Along with his co-producer Conny Plank, they recorded two suite of songs which featured twelve tracks. Essentially, they were variations layered around four different five-note melodies. They then recur in a variety of ways. While stylistically, the music was similar to his two previous albums, the instruments used had changed. However, this didn’t stop Michael recording another album of groundbreaking music. It was released later in 1979. 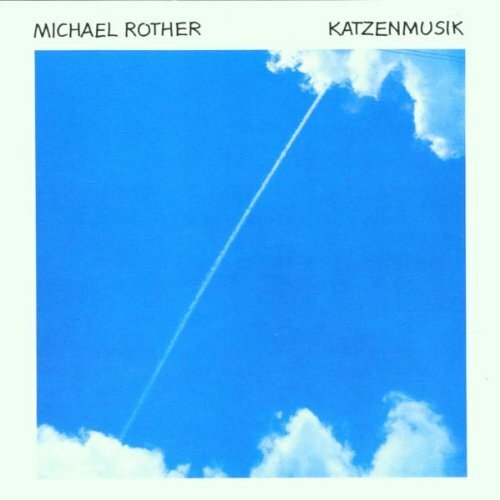 On Katzenmusik’s release, some critics hailed the album Michael Rother’s finest hour. He had come of age as a solo artist. This should’ve been a cause for celebration. However, it was, and it wasn’t. Katzenmusik was the last album Michael recorded with Conny Plank. “It was no reflection on Conny. The man was a genius. However, I wanted to go my own way, and explore other options.” Sadly, Michael Rother and Conny Plank’s swan-song wasn’t a commercial success. It would be another three years before Michael released a new album. This couldn’t have been easy. The pair had worked on nearly every project Michael had been involved with. Fernwärme was a first. It was just Michael, Jaki and the latest electronic instruments. They were used extensively on Fernwärme. This included drum machines. For Jaki Liebezeit the writing was on wall. Fernwärme was his swan-song with Michael Rother. After the release of Fernwärme in 1982, Michael didn’t return to his Sterntaler Studio, Forst until 1983. When he did, he was on his own. “Lust was the first album I wrote, recorded and produced on my own. Because I had my own studio, I found myself spending more time thinking things over. Sometimes, when I went to bed, all I could think of was what I had been working on. That is the downside of having a home studio. However, the advantages outweigh disadvantages. I had also bought a Fairlight, and was just getting use to it. Its sounds divides people. Some people like it, others love it. Lust was the first album where I used the Fairlight.” That was another reason Michael spent as long as he wanted perfecting Lust. Only then, was he ready to release the album. 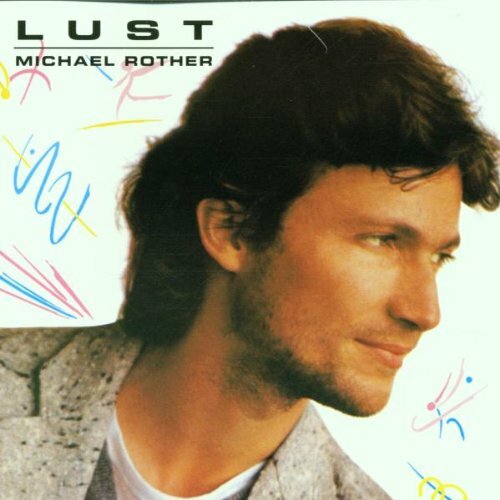 Lust was released in 1983, and was Michael Rother’s fifth album. It was all his own work. No other musician had played a part in recording the album, which showcased a new sound. At the heart of the sound was the Fairlight. Although the Fairlight divided people’s opinion, the majority of critics gave Lust positive reviews. The latest reinvention of Michael had been a critical success. However, when Lust wasn’t the commercial success many critics forecast, it was another two years before Michael returned with his sixth solo album. November 1984 saw Michael Rother return to his Katzenmusik Studio, in Forst to record what would become Süßherz und Tiefenschärfe. Just like his previous album Lust, he wrote, recorded and produced. It was just Micael, his trusty guitar and the electronic instruments he favoured. For three months he honed what became his sixth solo album. It was completed in February 1985, and became Süßherz und Tiefenschärfe. Later in 1985, Polydor released Süßherz und Tiefenschärfe. Before that, critics had their say on Michael Rother’s sixth solo album. Again the reviews were positive. Some critics went as far as to say that üßherz und Tiefenschärfe was one of the best albums Michael had recorded. It was released later in 1985. By then, Michael Rother and Klaus Dinger had been reunited. Little did Micahel Rother realise what he was letting himself in for. When Michael met Klaus; “I realised that Klaus wasn’t in a good place. He had surrounded himself with people who were pulling him in all directions. Klaus was also needing money, and recording a new Neu! album offered him the opportunity to make some money. So we entered a small studio in Düsseldorf. It wasn’t like the professional studio we had worked in before. Instead, it was more like a semi-professional studio.” That was where recording of Neu!’s most controversial album began. The group’s sound was very different. Synths were added to Neu!’s old sound. It was Neu! with a new wave twist. However, this didn’t work. By then, Klaus and Michael were vey different as musicians. Michael had moved towards the electronics and technology. Klaus it seemed, hadn’t moved at the same pace. By April 1986, work on the album stopped, and the project was cancelled. “Klaus and I met in Düsseldorf and agreed to abandon the project. We even went as far as sealing the tapes. This seal wasn’t to be broken without the other’s permission. The album was certainly not going to be released. That was why we sealed the master tapes. I never thought the would be released. Certainly not in the way that was released in late 1995.” By then, Michael was concentrating on his solo career. Michael Rother The Solo Years Part 3-Traumreisen. After the abandoned Neu! project, Michael Rother didn’t return to the studio until January 1987. He spent the next six months in his home studio. “That was the benefit of having your own studio. I could record when I wanted. Sometimes, it a lonely life, and I felt as if I was going slightly mad.” Eventually, though, Traumreisen was completed in July 1987. Just like his previous album, Traumreisen featured just guitars and Michael electronic instruments. Critics were won over by Traumreisen, which was released later in 1987. It was a case of deja vu, when Traumreisen failed to reach a wider audience. After seven solo albums, he was still make a commercial breakthrough. Michael’s music it seemed, was only appreciated by connoisseurs of Kosmische musik. This lack of commercial success resulted in Michael “beginning to lose interest in recording albums.” It would be another nine years before he released another album. By then, Michael had founded his own record company. Random Records was founded in 1993. This coincided with Michael managing to secure the rights to his back catalogue. However, the new label’s first release was a compilation, Radio-Musik Von Michael Rother-Singles 1977-93. It was released in 1993, with reissues of Michael’s solo albums being released over the next few years. Each album was remastered and released with bonus tracks on Michael’s Random Records. Michael was in control of his musical destiny. At least for his solo career. Neu! was another matter. 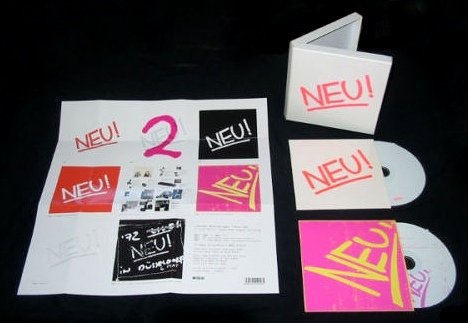 By the time Michael founded Random Records, Neu!’s first three albums had been released on CD by Germanofon Records, a Luxembourg based label. However, there was a problem. Michael explains: “the deal to release Neu!’s first three albums was entered into, without his permission. These bootlegs were available in every record shop I entered into.” There’s frustration and anger in his voice. It’s not about money though. Instead; “I was frustrated that people were buying an inferior product. It wasn’t of the quality I expected.” If Michael was frustrated about the release of Neu!’s first three albums, he was in for a shock on the morning of 17th October 1995. “That day, I was sitting at home, when I received a fax from Klaus congratulating on the release of Neu! 4. I was shocked, as I hadn’t given my permission or consent to release the album. Soon, the picture became clear. “By then, Klaus was really frustrated and angry about the bootleg releases of our first three albums. They were selling well, and neither of us were making anything from them. To make matters worse, Klaus was short of money, and desperate, so entered into a deal with the Japanese label Captain Trip Records. The owner was a huge fan of Neu! and was impressed by Klaus. He gave Klaus cash which he was meant to share with me. In the sleeve-notes to what was billed as Neu! 4, Klaus railed against the bootleggers.” Ironically, this was something that both Michael and Klaus agreed about. However, the release of Neu! 4 drove a wedge between the two old friends. After the release of Neu! 4, Klaus and Michael were continually at loggerheads. This was ironic. “By then, Neu! were at last, a popular band. People wanted to buy our albums. All that was available were the bootlegs, and Neu! 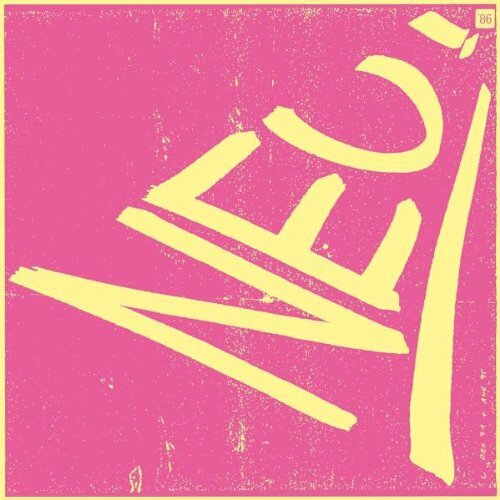 4 which to me, wasn’t a legally released or genuine album.” Eventually, though, Michael and Klaus reached an agreement in 2000, and Astralwerks in America and Grönland Records in Europe released Neu!’s first three albums. They also recalled copies of Neu! 4, which has been out of print ever since. Michael however, stresses: “I’ve no problem people buying a second hand copy of Neu! 4, I just don’t want the album rereleased. After the problems with Neu! 4, Michael released his eighth solo album in 1996. Unlike his last couple of albums, Michael didn’t work alone on Esperanza. He was joined by Jens Harke, who wrote the lyrics and added vocals to Weil Schnee und Eis. This was a first. Apart from the occasional vocal sample, Michael’s album had been vocal free zones. That wasn’t the only change. The other contributor to Esperanza was Joachim Rudolph. He took charge of Pro Tools programming. Things had changed since Michael’s last album. It was the digital age, and now, DAWs had found their way into recording studios. As befitting the digital age; “I used only electronic instruments on Esperanza. There were no guitars on the album. This wasn’t a first. I’d already gone on a tour of America without a guitar. I was tired of the guitar and wanted to experiment.” That’s what Michael Rother did between January 1995 and January 1996 at three studios. Once the album was completed, it was released two months later. Esperanza was released on the 11th March 1996, on Michael’s Random Records. Most of the reviews of Esperanza were positive. Michael Rother, was continuing to innovate and push musical boundaries. However, when Esperanza wasn’t a commercial success, “I began to lose interest in recording, and decided to concentrate on playing live.” As a result, it was a new millennia when Michael released his next album. 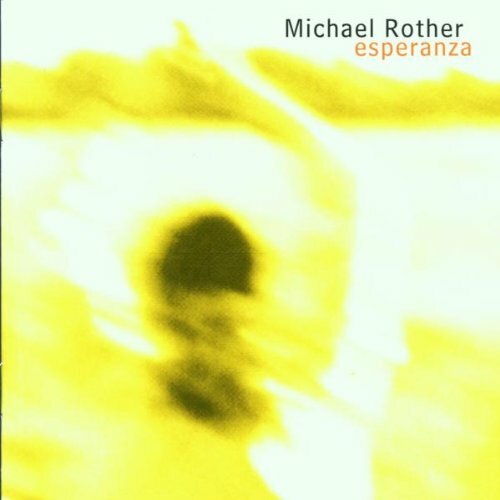 April the 25th 2004 proved to be a significant date in Michael Rother’s career. It was the day he released his most recent solo album, Remember (The Great Adventure). It had been recorded over a period of seven years and was a collaboration with various electronic musicians. This includes Thomas Beckmann, Andi Toma and Jake Mandell, who all programmed beats for the rhythm tracks. Sophie Williams and Herbert Grönemeye added vocals on Remember (The Great Adventure). This was only Michael’s second album to feature vocalists. Ironically, it proved to be his last. Michael Rother’s collaboration with a new generation of musicians was well received by critics. Just like his previous albums, Michael didn’t shy away from innovating. Instead, he embraced the new and was determined to look forwards, rather than backwards. That was the case throughout his solo career. 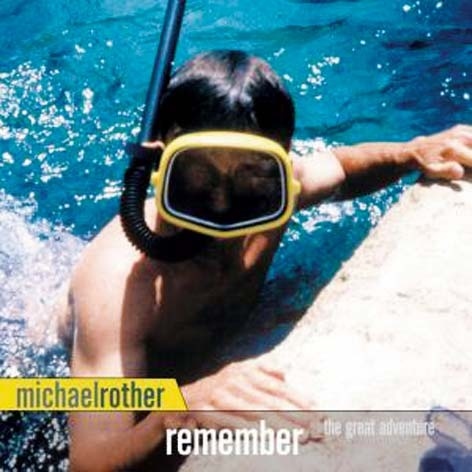 Following Remember (The Great Adventure), Michael Rother “decided to concentrate on playing live. It’s allowed me to travel the world and play all over Europe, America and in 2014, in China. My albums were not selling well, and after a while, I lost interest in recording music.” However, it wasn’t just Michael that was playing live. One of his old groups reunited and took to the stage one more time, Harmonia. The reunion was for the release of Harmonia’s Live 1974 album. It featured a a recording of Harmonia’s concert on the 23rd March 1974, at Penny Station Club in Griessem, Germany. 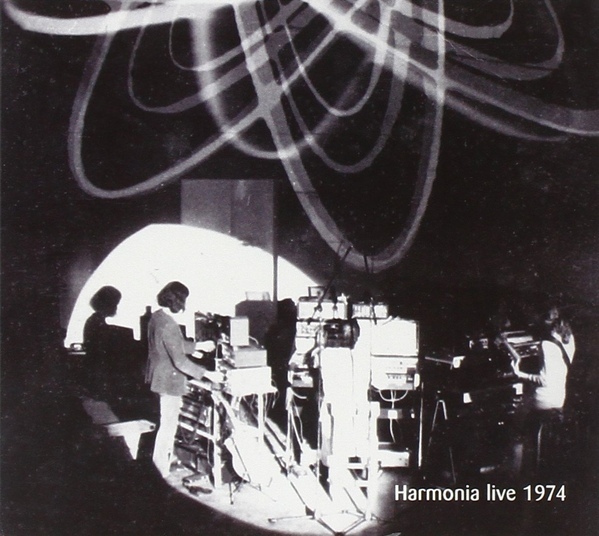 To celebrate the release of Live 1974, Harmonia played live for the first time since 1976. This landmark concert took place at the Haus der Kulturen der Welt in Berlin, on November 27th 2007. Sadly, it would be the last time the three members of Harmonia played live. Belatedly, they had found the critical acclaim and commercial success they so richly deserved. It had taken thirty years, but Harmonia were regarded as one of the most innovative and influential groups in Kosmische musik. So were Neu! As the years passed by, Neu! 4 was still a sore point for Michael Rother. It had driven a wedge between Michael and Klaus. “Sadly, Klaus died in 2008. I was deeply saddened. We had been great friends once.” Kosmische musik had lost one of its pioneers. Two years later, Michael got the opportunity to right a wrong. He explains: “in early 2010, I came to an agreement with Klaus’ widow. It allowed me work on what had been Neu! 4. Using the master tapes, I remixed the whole album.” That wasn’t the only change. The running order changed. Some of the tracks were given new names. Only twelve of the fourteen tracks on Neu! 86 found their way onto Neu! 86. 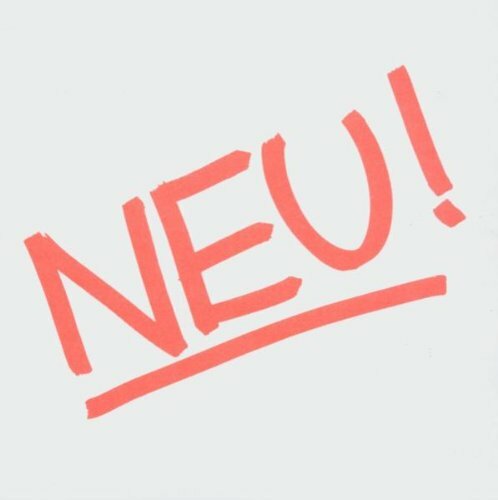 A new song, “Drive (Grundfunken), was added to what became Neu! 86. It was released as a box set on May 10th 2010. 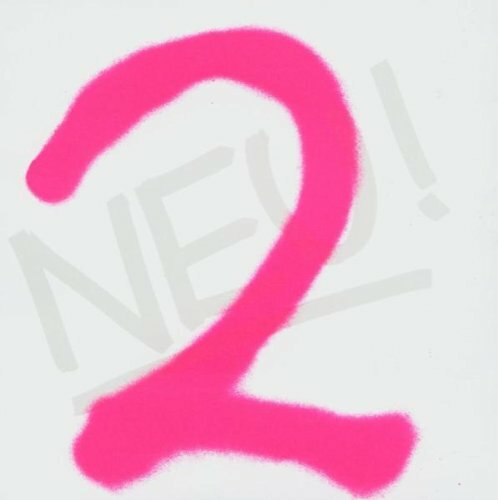 Then on August 16th 2010, a CD version of Neu! 86 was released. Mostly, reviews of Neu! 86 were positive. The only criticism was that the album was overproduced. Michael disagrees but agree: “it’s all matter of taste and opinion. I feel I did the best I could with what I had. Now Neu! 86 is much nearer to the album we had tried to make in 1985.” A quarter of a century later, and Michael was happy at the release of Neu! 86 in 2010. That wouldn’t be the last project from the past that Michael would undertake. Recently, Michael Rother has been working on what can only be described as a loving curated and luxurious box set. He has overseen the remastering of Harmonia-Complete Works, which will be released by Grönland Records in October 2015. Included in the box set are the five digitally remastered vinyls; including Musik Von Harmonia, Deluxe, Tracks and Traces, Live ’74 and an album of unreleased material. One of the unreleased tracks was nearly lost forevermore. Michael explains what happened. “Harmonia recorded all our shows and rehearsals. However, we were a poor band, and had to reuse each tape. Luckily, one night, a friend asked if we could record a rehearsal? Hans-Joachim Rodelius recorded the show, and at the end of the night, handed him the tape. That tape features what I consider to be the ultimate version of Tiki. Having given the tape away, I feared we would never see it again. Fortunately, our friend has kept that tape and the version of Tiki features on the fifth album of Complete Works.” That however, isn’t all that features in this laving and luxurious box set. 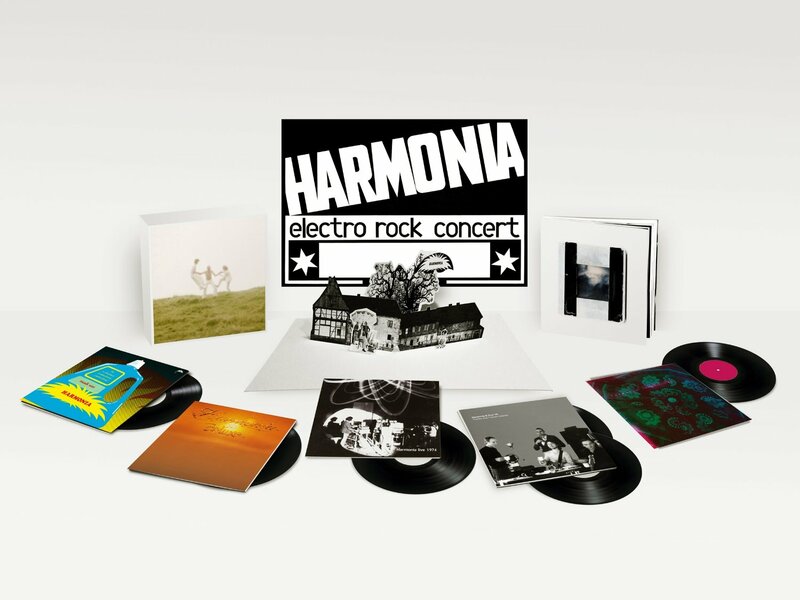 “There’s a thirty-six page booklet, detailing Harmonia’s history and a tour poster.” For those wanting to keep their vinyl pristine, there’s even a download code. This seems a fitting way to remember the group Brian Eno considered as: “the world`s most important rock group.“ However, the release of Complete Works is tinged with sadness. After a brave and lengthy battle against cancer, Dieter Moebius died on 20th July 2015. Michael’s saddened by the passing of his old friend. During the making of Complete Works, Michael says: “I always made sure to keep Dieter up to date with how Complete Works was progressing. Only after he had approved everything, did I move on. I would never have done anything without his approval.” Sadly, Dieter Moebius died before Complete Works was released. He never got to see what will prove to be fitting reminder of the group that Dieter Moebius played such a big part of. Along with Hans-Joachim Roedelius and Michael Rother, Dieter Moebius was part of one of the most innovative groups in the history of Kosmische musik. They’re now regarded as one of the finest purveyors of Kosmische musik. Harmonia sit alongside the holy trinity, at Kosmische musik’s top table. At the head of the table is Michael Rother. There’s a reason for this. Michael Rother has been part of three of the biggest bands in the history of Kosmische musik; Kraftwerk, Neu! and Harmonia. He then released nine solo albums and more recently, two soundtrack albums. “That was a new experience. However, now I concentrate my time on performing live.” Michael explains. Since then, The Complete Works box set has almost sold out. It’s been a huge commercial success, and when I was asked to choose my best box set of 2015, there was only one choice, The Complete Works. Nothing else came close. Michael Rother’s loving compiled box set was the perfect way to celebrate and document one of the most innovative, influential and important Kosmische groups ever, Harmonia. They were just one of three pioneering groups Michael Rother was a member of. Michael Rother, the one-time Kraftwerk guitarist went on to cofound Neu! and then Harmonia. Both of the groups Michael Rother cofounded, went on to play an important part in the history of Kosmische musik; and even today, continue to influence and inspire several generations of musicians. That’ll be case for the foreseeable future. Early in 2016, Michael Rother heads out on tour, and each night, will play a selction of songs by Neu! and Harmonia. 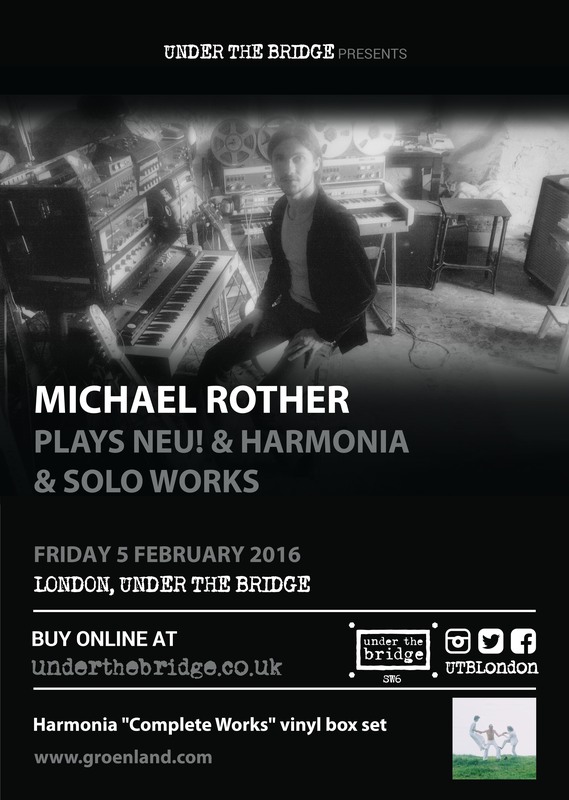 Michael Rother live is proving the hottest ticket in town, and on the 6th of February 2016, Michael Rother makes a welcome return to London, where he will play what’s one of the most eagerly awaited shows of recent years, at Under The Bridge.